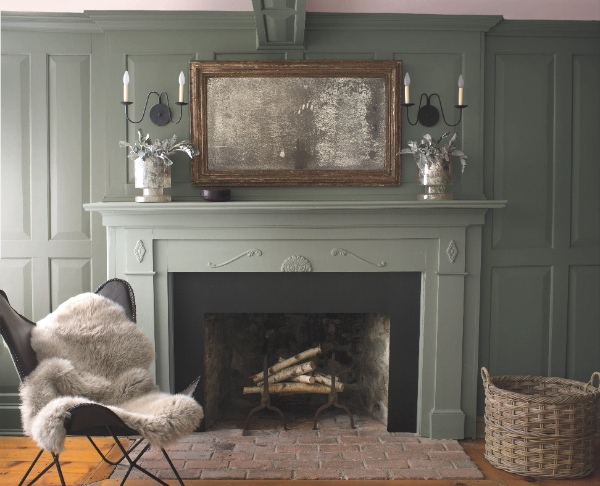 Benjamin Moore is famous for the depth and beauty of its colours. The go-to brand for designers in North America, who know they can trust Benjamin Moore to deliver the same outstanding tone, intensity and durability no matter which colour they choose. Similarly, whilst UK painters may shudder at a dark scheme, their US counterparts know they can trust Benjamin Moore to deliver outstanding hide and touch up even in the deepest shades. Two pieces of patented technology deliver this phenomenal dark colour performance. Firstly, Benjamin Moore Aura uses Colourlock technology to encapsulate pigments within the paint, ensuring they are protected from fade and colour rub-off. And secondly, the proprietary Gennex water-based colourant technology at the heart of all Benjamin Moore colours ensures these deep, saturated shades are not loaded with chemicals that cause the paint to be highly water sensitive and can cause poor hide. 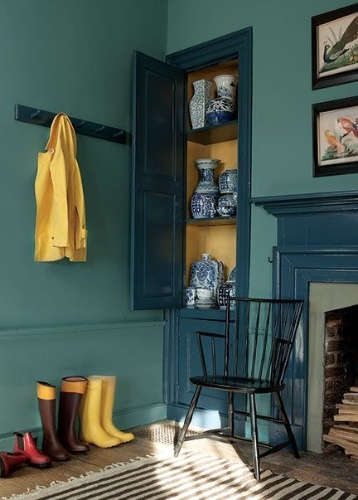 There is an intrinsic harmony to this palette - 'spotswood teal CW-545', 'damask yellow CW-400' and 'everard blue CW-575' combine for a dramatic effect in this room. A pet-inspired home office: 'evening gown CSP-375' walls, 'grandma's china CSP-365' trim and 'arctic seal CSP-15' bookcase. 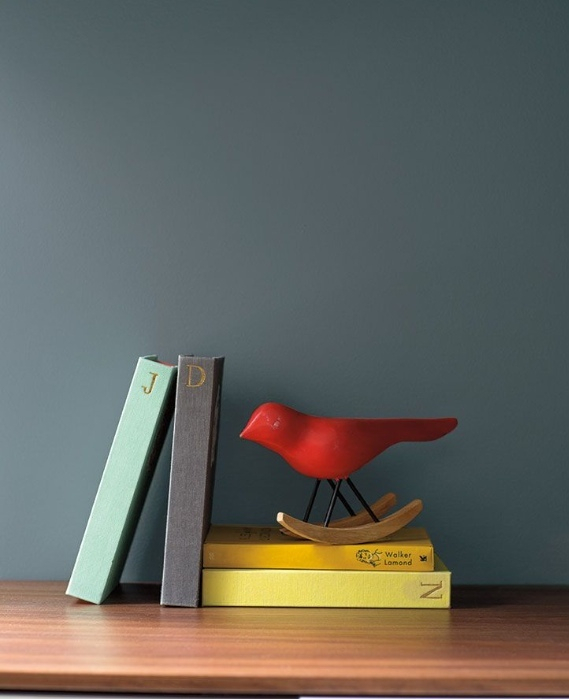 Add depth and mood to any space using 'steep cliff gray 2122-20'. Don't just welcome guests into your home, wow them! 'sea glass CSP-735' walls and 'city shadow CSP-60' for the panelling. This charming entryway pulls in a palette of purple, green and gray to provide a warm and inviting use of colour. 'wasabi AF-430' walls, 'hush AF-95' trim and 'vintage wine 2116-20' accent wall. Deep shades create dramatic hallways. These contrasting neutral paint colours - 'taos taupe 2111-40' walls, 'collector's item AF-45' stairs, trim and panelling, 'hasbrouck brown HC-71' accent create a really stylish statement. 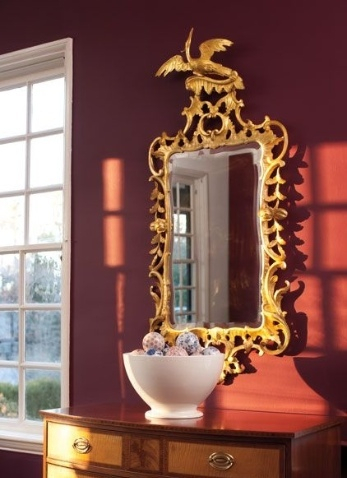 This very bold hue used in a small dose creates a beautiful focal point. 'baby's breath OC-62' paired with 'marblehead gold HC-11'. This dramatic kitchen uses a harmonising accent to break up the dominant dark shade. 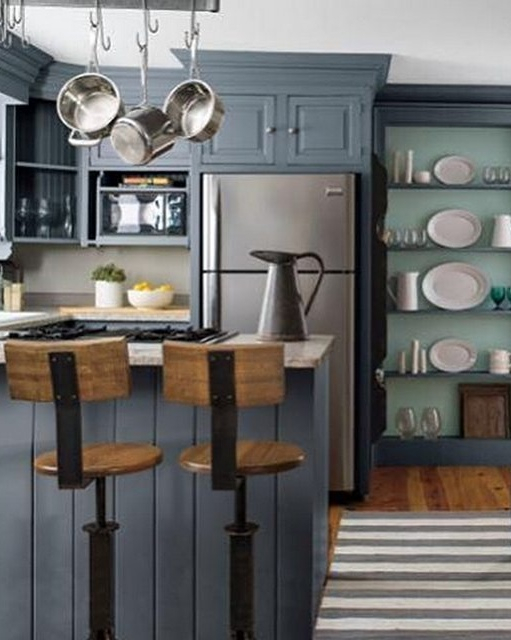 'wolf gray 2127-40' walls, 'wythe blue HC-143' accent.